The St. Lucas Men's Club is a robust group of men of diverse ages and backgrounds gather monthly for fun, fellowship and service. It may be raising money for the Scholarship Fund, Christmas caroling, serving the Bratwurst dinner, helping around the church or helping a neighbor in need, but these men have fun doing it. The Men's Club meets on the second Friday of each month with prepared meals afterwards. The Men's Club primary fundraising event is the locally-famous Bratwurst Dinner held annually on the last Sunday in September. Known for it's catchphrase "The Wurst is Yet to Come," the Bratwurst Dinner supports many of our youth functions as well as provides the funding needed for major repairs and equipment replacement. The Men's Club also supports the community through its annual drive to support Toys for Tots. In addition to collecting at least two toys per member at its December Meeting, club members also coordinate collecting toys from the congregation. 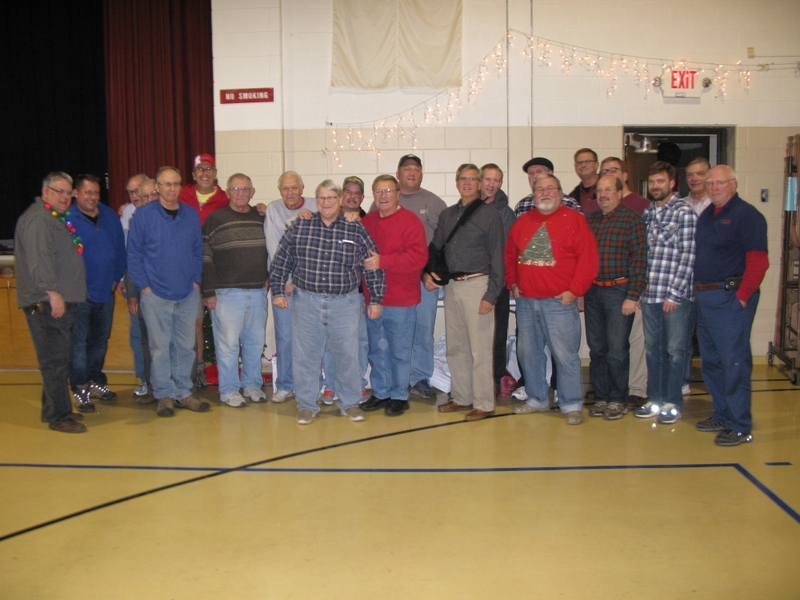 Through fellowship and witnessing Christ, our Men's Club is an active group of men that bonds not only members of St. Lucas, but also men of other local congregations. Please join us!